Ottawa, Ill., May 19 (Special). – An automobile and a truck were thrown into the Fox river at Dayton, northeast of Ottawa, late this afternoon when the bridge which spans the river collapsed. Two occupant of each vehicle were rescued unhurt. 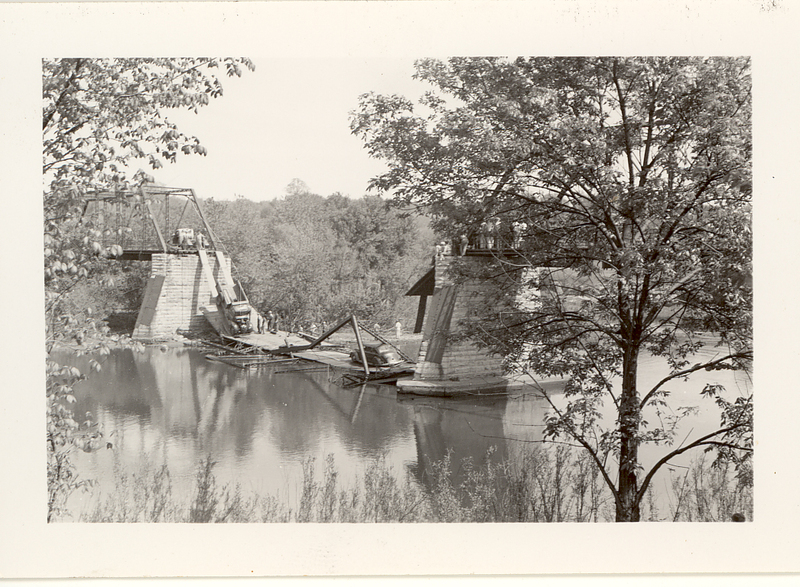 According to information given to Sheriff Edmund J. Welter, an Ottawa newspaperman, D. M. Davis and his wife were in their sedan, near the center of the bridge, when a truck driven by Robert Shelton of Marseilles, who was accompanied by his wife, drove upon the bridge. Then the span broke and both cars plunged downward. Timbers kept the cars from falling into the water, which is 10 feet deep. The bridge at Dayton is on what is known as the Old Chicago road. Sheriff Welter blocked the gravel road at intersections on both sides and posted detour signs. ← You own a piano? That’s $4, please.